Even those who give the city a chance beyond the bachelorette parties and work conferences don’t stay long — Las Vegas has historically been considered one of the most transient cities in the U.S. Yet, dig deeper and Las Vegas is not nearly as black-and-white as the chips that line the casinos’ poker tables. Downtown Las Vegas is experiencing a major revitalization, spurred by Zappos CEO Tony Hsieh’s $350 million investment in the Downtown Project — breathing new life into a once economically depressed part of the city a few miles north of the Strip, and creating an urban hub for locals that is both livable and sustainable. From a mix of new favorites and olds stapes, here are seven ways to experience Las Vegas and the surrounding landscape like a local. One of the biggest surprises to newcomers in Las Vegas? The natural beauty of the Las Vegas Valley and how accessible it is. “It’s one of the most overlooked and unknown things about the city... And it provides an incredible sense of freedom.” O’Brien says. 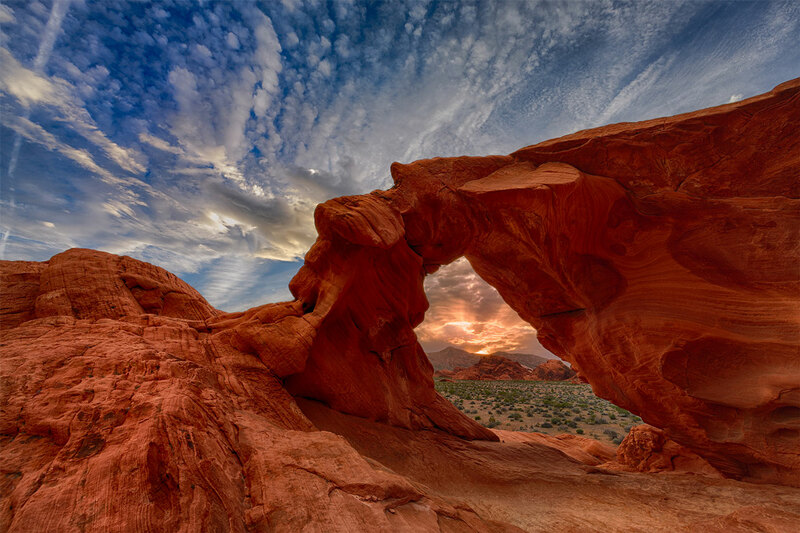 If you’re looking to get away from the clamor of the Strip, forgo the obvious tourist choice of Red Rock Canyon and instead head 55 miles northeast to Valley of Fire for a “more dramatic and secluded experience,” according to O’Brien. Catch a glimpse of the Valley’s red rock formations against the turquoise blue sky, and on occasion, the blue waters of Lake Mead to the east. Located near Boulder City, Nev., (about 45 minutes from the Strip) enjoy a 4.5-mile moderate hike down a narrow, rocky canyon that leads to a series of hot springs. The second half of the hike requires some boulder scrambling with substantial drop-offs. 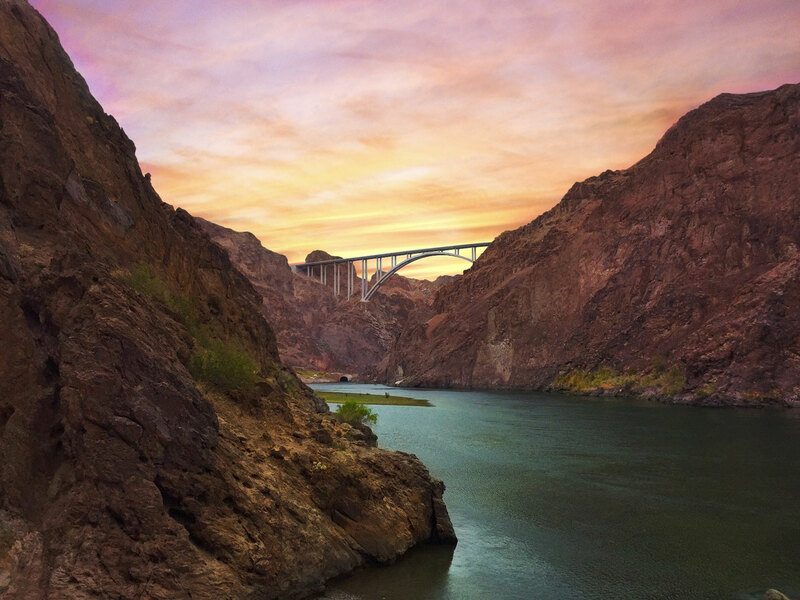 Look upstream, and you may catch views of the Hoover Dam. Note: the trail closes annually May 15-Sept. 30 due to high temperatures during summer months. Neon signs represent quintessential Las Vegas, and were first introduced in 1929 at the Oasis Café on Fremont Street — considered the main Strip from the 1920s through the 1950s. Today, Fremont Street is again at the heart and center of the downtown revitalization effort, and so it’s fitting that just north, you will find the Neon Museum and Boneyard. 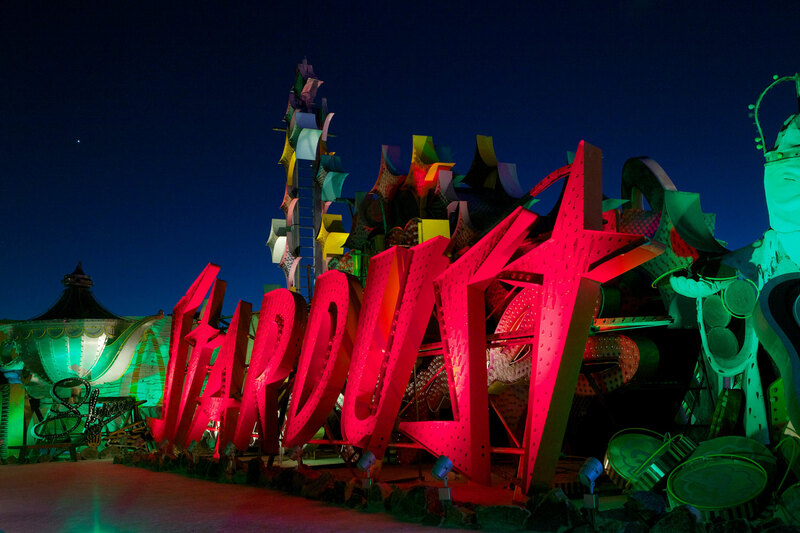 Enjoy a guided tour through the nearly two-acre outdoor campus, known as the Boneyard, which features more than 200 unlit neon signs decaying against the desert backdrop. The Museum’s visitor center is located adjacent to the Boneyard, housed in the rehabilitated La Concha Motel lobby, designed and built by architect Paul Revere Williams. 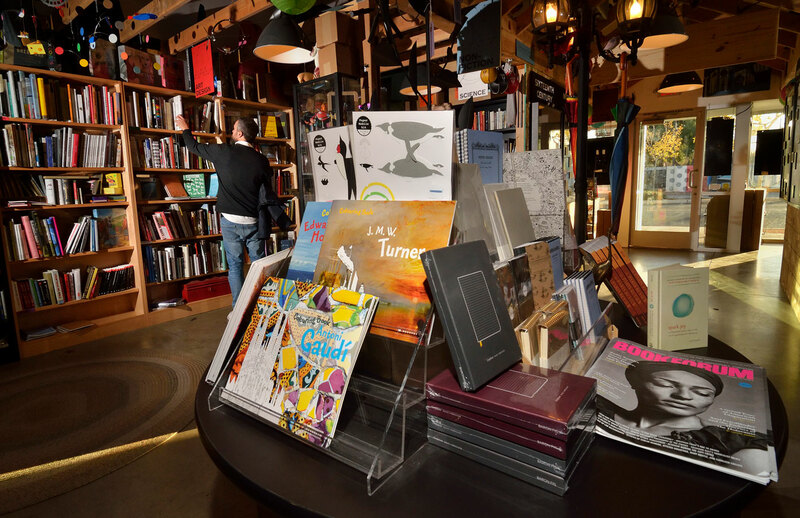 Located off the beaten path of downtown, about an 8-minute walk from the main Fremont Street experience, is a recent addition to the city: the independent bookstore, The Writer’s Block. Owned by NYC transplants Scott Seeley and Drew Cohen, the store features a range of titles, house-made notecards, buttons and bookmarks. In addition, the store also serves as an artificial bird sanctuary. Customers can go home with a bird, name tag and biography for $5, a small nod to the store’s commitment to storytelling. 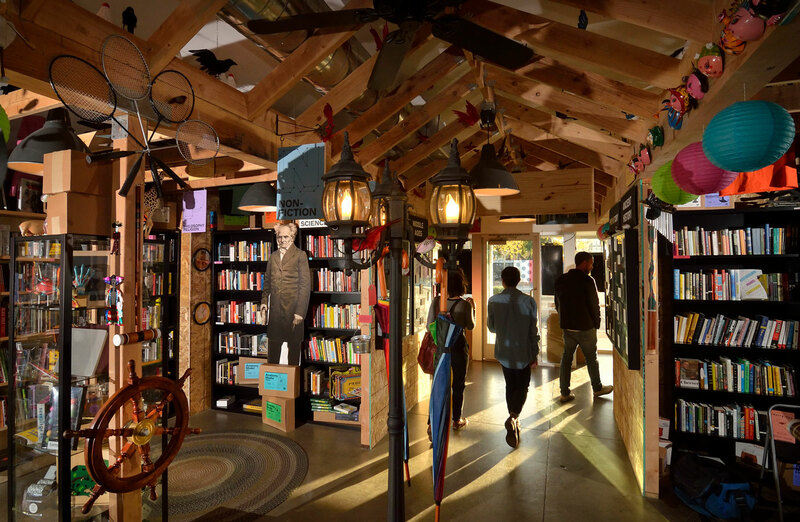 While the store sees its fair share of book tourists, “the backbone of our business is the local shoppers who are committed to the idea of a bookstore as a cultural touchstone, and who not only buy books but attend our book clubs, signings and participate in our creative writing classes for young students,” says Cohen. Venture further back in the store, and you’ll discover the Codex, a writers’ studio dedicated to education, production and publishing for craftsmen of all ages. 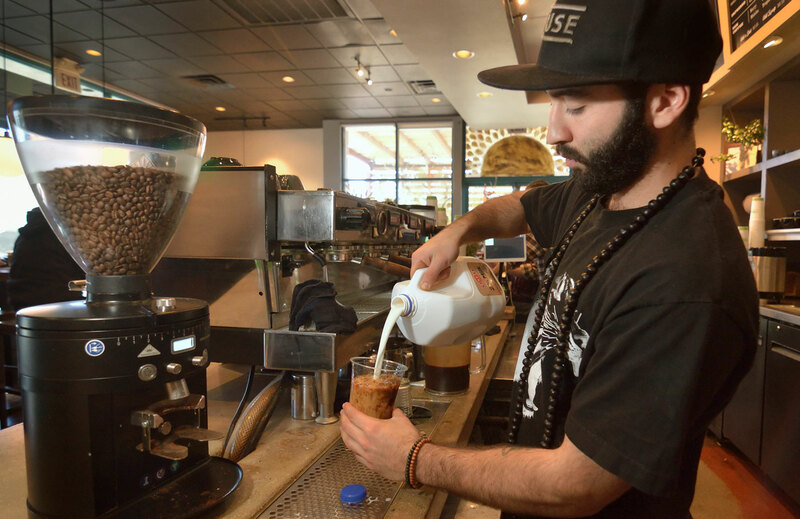 A good cup of coffee is worth traveling for, so head to the Green Valley and Henderson area (also home to the area’s first Chick-fil-A restaurant, opening in January) to sip on Sunrise Coffee. The independent coffee shop draws local writers, photographers and students (and once, First Lady Michelle Obama during a campaign stop) with its eclectic atmosphere and vegan offerings.